With so many new places popping up and with an expanding wishlist, it is often hard to make a decision on where to eat. Recently, my family and I had a craving for satays and immediately I knew where we should go, that is, Satay on Charcoal! It’s a hidden gem located in the heart of South Perth at the back of an alleyway. If you have tried the satays at Twilight Hawker Markets, you would find the satays familiar. Yes, it’s the same crew that runs the pop-up stall at Twilight Hawker Markets. You can’t leave Satay on Charcoal without ordering their signature dish which are satays! 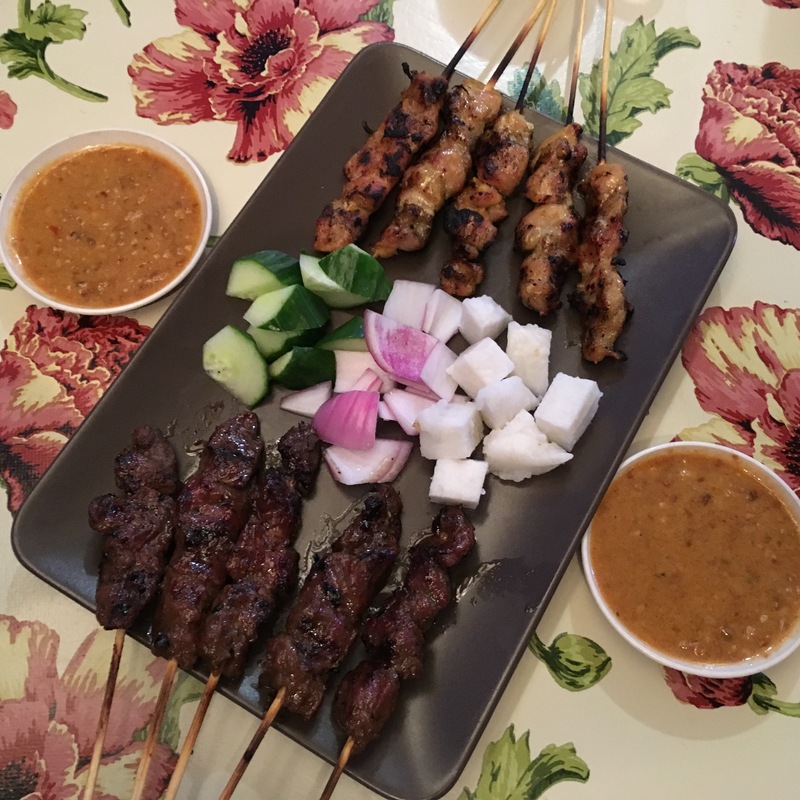 We had the Chicken and Beef Satay ($9.90 for 5 sticks) which is served with rice cakes (Nasi Impit), slices of onions, cucumber and homemade peanut sauce. The satays at Satay on Charcoal is cooked on the traditional charcoal grill to give a smokey touch to the satays, just the way we Malaysians like our satay done. It’s very tasty and the meat was not too dry. The peanut sauce was a hit – it’s authentic, chunky and nutty in flavour. Could this be one of Perth’s best satays? Yes, I definitely think so. 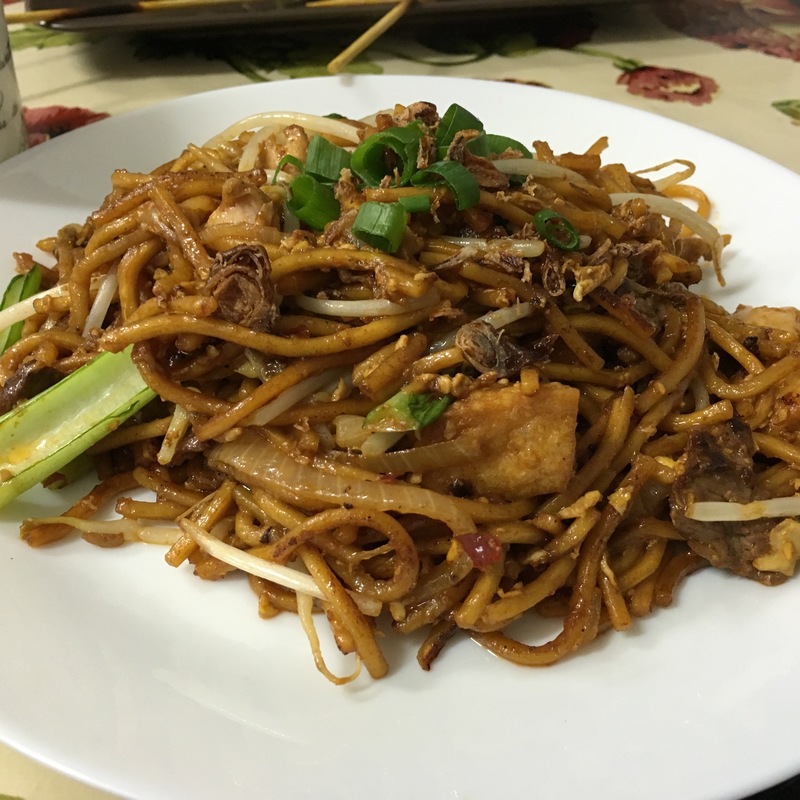 Apart from satays, we shared a serve of Mee Goreng ($8.90). It was very delicious with a slight charred flavour. It’s hard to find a decent mee goreng here but we thought that the mee goreng at Satay at Charcoal was authentic. Truly brings back good memories of late night treats at mamak stalls during trips back to Kuala Lumpur. We also had a Nasi Goreng Special with fried chicken and fried egg ($11.90) to share. It’s a hearty serve of fried rice with chunks of chicken and vegetables. Fried to perfection, the fried chicken was crispy with a flavoursome tumeric flavour. For drinks, we ordered a Teh Tarik ($2.90) to complement our meals and to keep us warm on a cool night. Overall, we enjoyed our food at Satay on Charcoal. 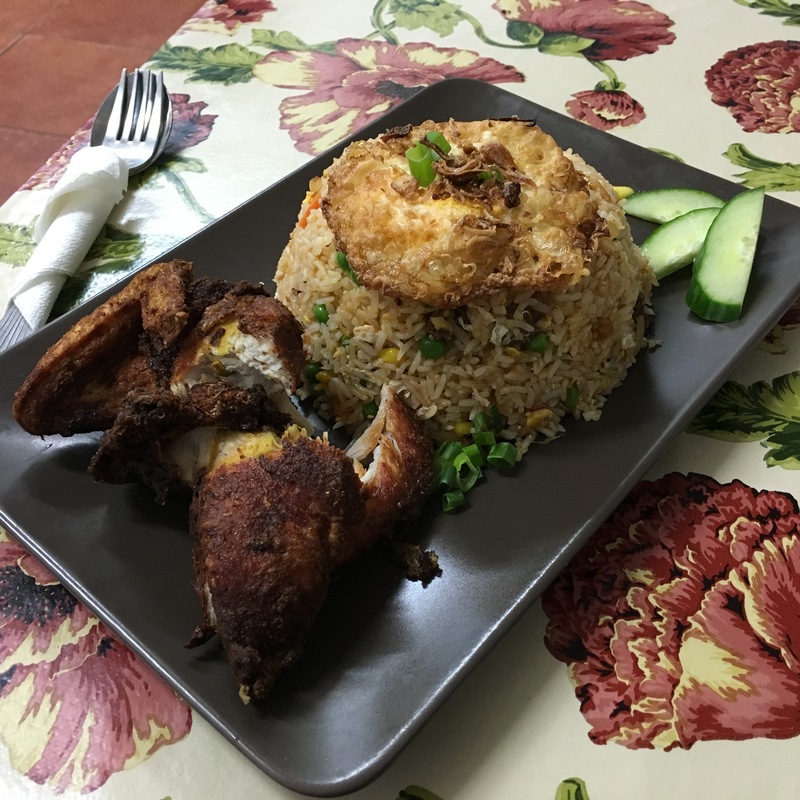 For a reasonably priced menu with authentic Malaysian food, we will definitely be back again.